We are all surrounded by lies and deceptive behaviour everyday yet much of it slips by unnoticed. Although many lies are told with no intent to cause harm, there may be times you would have made a different decision had you been armed with the truth. Overcoming unconscious bias, influencing for the truth, and accurately reading non-verbal behaviour can help you more effectively and accurately read a person and a situation. 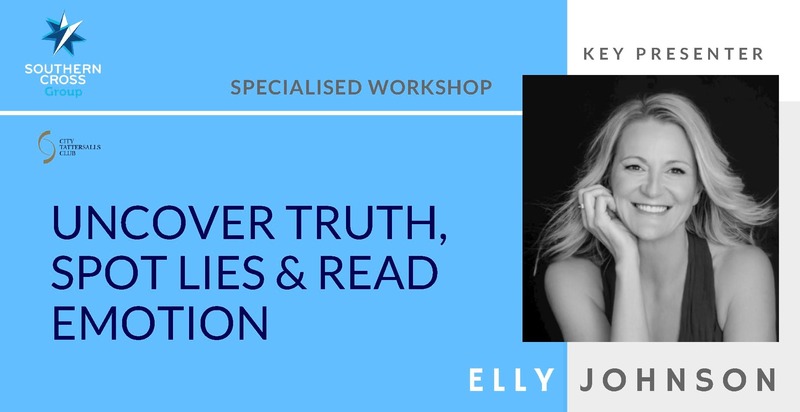 In this practical mini-workshop, leading truth and lies communication expert, Elly Johnson, will dispel myths and share tips that will help you see and hear things other people miss. Along with insights into the science of truth and lies, you will leave with an awareness of how Truth Circles™ can provide a framework to develop self-truth, speak the truth, seek truth and spot hidden truth. These are critical skills for any people facing field personnel along with all supervisors and leaders. Add valuable tools to your communication and security awareness toolbox. Remember a portion of the proceeds will go towards Wall to Wall Charity. Join our workshop!